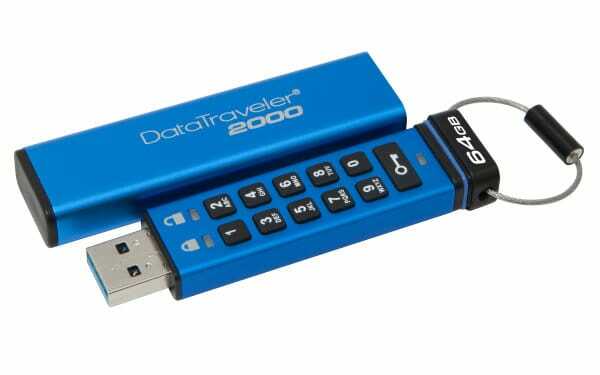 Kingston announced the launch of its DataTraveler 2000 secure USB in India. It is designed to be secure, with an alphanumeric keypad that locks the drive with a word or number combination, for easy-to-use PIN protection. The new USB will be available in both, retail and online stores at an MRP of INR 10,000/- for 16GB, INR 14,000/- for 32GB and INR 18,000 for 64GB capacities. DT2000 features hardware-based, full-disk AES 256-bit data encryption in XTS mode. Encryption is performed on the drive, not on the host computer, and no trace of the PIN is left on the system. Its auto-lock feature is activated when the drive is removed from a device, and it deletes the encryption key after 10 failed intrusion attempts.